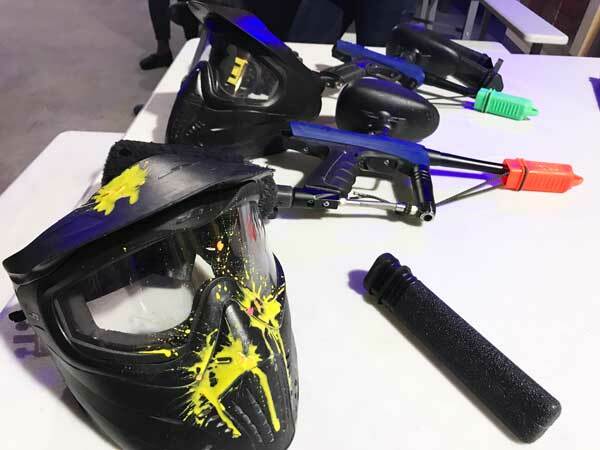 Jack's uses a paintball than a standard paintball. Jack’s .50-cal paintball is ⅓ the size, weight, and sting of a standard ball, which makes it great for indoor matches, new players, and anyone just looking to have fun. All Jack’s Paintballs are stain free! The paint washes right out for easy cleanup and a stress-free time! Jack’s paintballs are 1/3 the size of a traditional ball and 1/3 the sting, making it perfect for new and experienced players! Jack’s has the best and cleanest indoor paintball field in Arkansas. At Jack’s, you can play in all weather! Jack’s provides everything you need to play! This includes the face-mask, paintball gun, and safety barrel plug. We provide all the equipment needed to keep you safe! Had a blast and the staff was friendly and extremely helpful. In between the laser tag and the indoor paintball we did the escape room. Really interesting and fun. I would recommend this place to anyone and will go back again! Went with some friends and had an awesome time. It was really nice to play indoors when it was raining out. I was impressed by the quality of the paintball equipment. The 3D laser tag was super cool too. Our combo packages will save you money while maximizing the fun! Try our Ultimate Laser Tag, Archery Warz, Escape Room and More! Packages starting at $24.99.